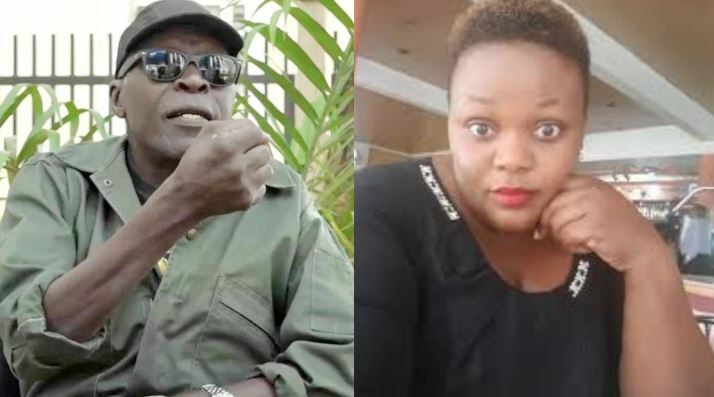 KAMPALA – Retired Brigadier Kasirye Ggwanga shot at singer Catherine Kusasira’s car after her aides refused to lower the volume of the music that was playing in the vehicle. The incident, which occurred in Makindye Division next to the KCCA office at about 9.30pm on Tuesday evening, left the tyres of the singer’s car deflated. Witnesses told this website that Brig Ggwanga’s children had come to buy food at a takeaway joint in Makindye. At that moment, Kusasira’s car, which was being driven by her aides, arrived with loud music blaring inside. It is said at this moment, the retired senior army officer’s children demanded that Kusasira’s aides reduce the volume. However, the latter refused, leading to a quarrel. Shortly after, Brig Ggwanga is said to have arrived at the scene and also ordered Kusasira’s aide to reduce the music. When they reportedly refused, insisting that he is not above the law, Gwanga is said to have picked a gun from his bodyguard and shot at the tyres of the vehicle, deflating them before driving off. Kampala Metropolitan Police spokesperson Patrick Onyango confirmed the incident. “Ms Kusasira’s aides told Maj Gen Ggwanga that he wasn’t above the law. Then verbal exchange ensued. It is alleged that Maj Gen Ggwanga ordered one of his bodyguards (unidentified) to bring him his gun, and he then shot the tyre of Ms Kusasira’s car,” he said. “We are investigating a case of malicious damage,” he said. Police officers were called in and they have visited the scene and a case has been registered under SD reference 107/29/1/2019. We will invite all the parties to record their statements,” he added. The retired soldier is not new to controversy. In 2017 Brig. Ggwanga set ablaze a tractor that was being used to grade a piece of land in Lubowa, Wakiso District, which he said belonged to his daughter.